Local professors explain why game-changing research matters to us all. 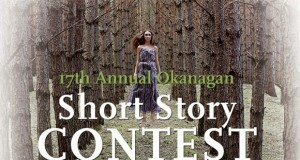 Cash prizes available in the 17th annual Okanagan Short Fiction Contest. 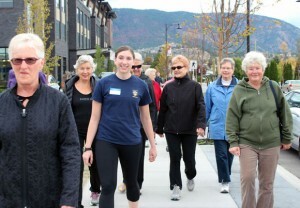 Companionship and exercise two main ingredients of Walk n’ Talk for your Life. Library dedicates space to document region’s history, literature, and culture. 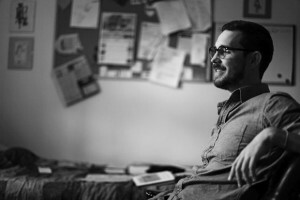 UBC’s Visiting Author Series November event features Matt Rader, assistant professor of Creative Writing with the Faculty of Creative and Critical Studies at UBC Okanagan. 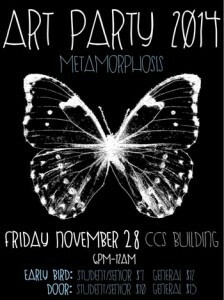 UBC Okanagan’s Theatre Course Union, in collaboration with the Visual Arts and Creative Writing Course Unions, present ART PARTY 2014 METAMORPHOSIS, an annual event celebrating and showcasing student-created artistic work. Third-year marketing class creates campaigns for municipalities and organizations. 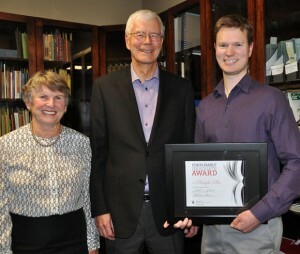 Newly-established graduate and undergraduate awards to benefit students. 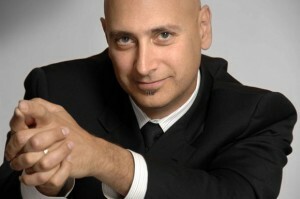 UBC Okanagan and Tilray, a Health Canada Licensed Producer under the Marihuana for Medical Purposes Regulations (MMPR), will conduct the country’s first clinical trial to evaluate the therapeutic benefits of medical cannabis as treatment for post-traumatic stress disorder (PTSD).